Woodcut bestiaries have enjoyed a long tradition in France. Many of Houghton’s finest examples were acquired by Philip Hofer, founding curator of the library’s Printing and Graphic Arts Department. 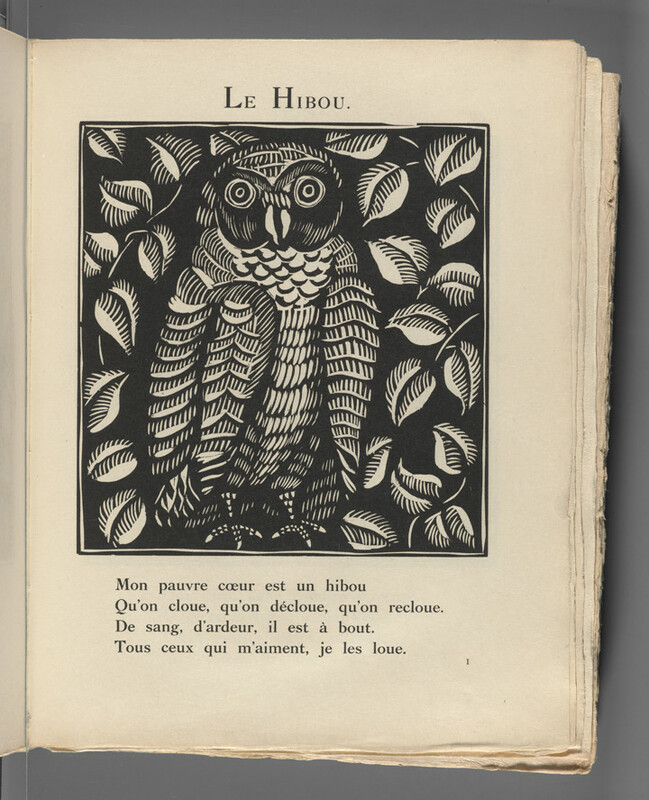 This twentieth century exemplar belonged to the book’s illustrator Raoul Dufy and contains his original drawings and early proofs of the woodcuts. This image of the owl first came to my attention as a popular postcard once sold in the library’s lobby. Both the image and the moving verse accompanying it touch me for their sweetness.